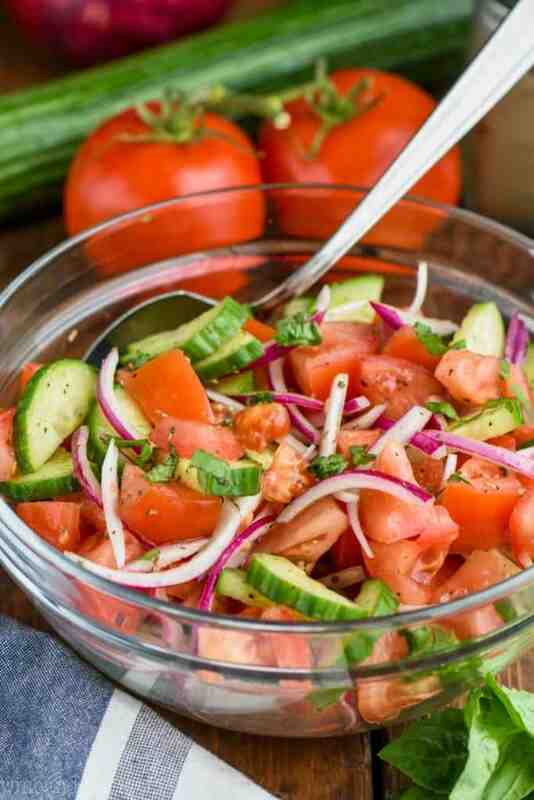 This Cucumber Tomato Salad is the perfect easy summer side dish! It is great to bring to parties or to serve on the side of some ribs or chicken tenders. 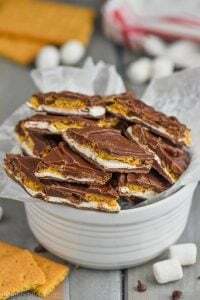 It is made with just a few simple ingredients and comes together so fast! 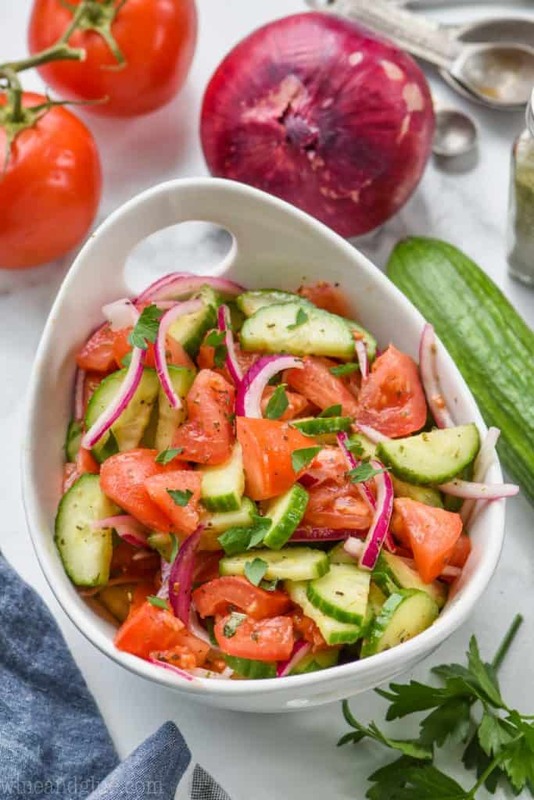 This Cucumber Tomato Salad recipe is fresh and totally delicious! Happy Monday, my friends! How are you? I am currently feeling a little overwhelmed by summer and life and keeping it all together. So basically, the same as the rest of you parents of small humans out there. Is there ever a point where you feel like you have it all together? Please don’t tell me that it happens right as you slam the car door and they pull out to go to college. So, one thing I can tuck away as me doing this mom thing kind of okay is getting my kids to eat fresh fruits and vegetables. We actually can’t keep up with them. Every meal has sliced peppers, cucumbers, or carrots on the side. Maybe some grapes and strawberries for snacks, and I feel GREAT about it. It’s not the most exciting for me. So I’m always looking for ways to incorporate that freshness into a dish that I want to eat with my meal too. 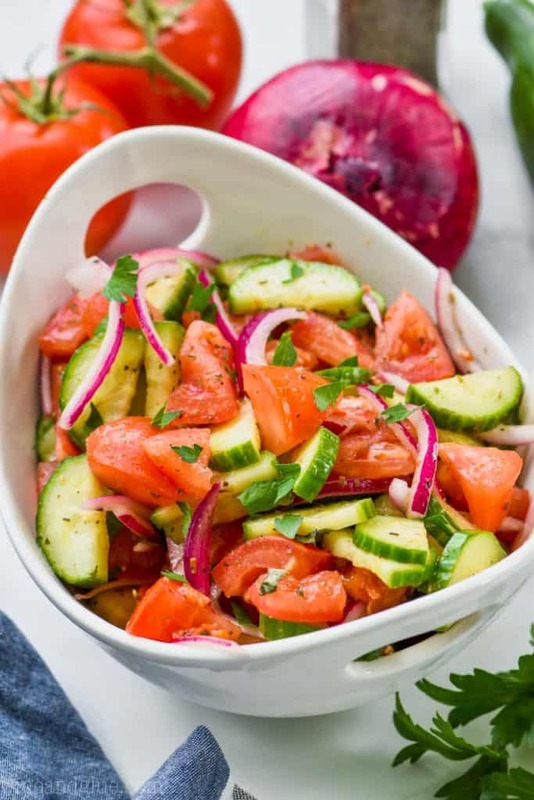 Enter this delicious Cucumber and Tomato Salad, my friends! 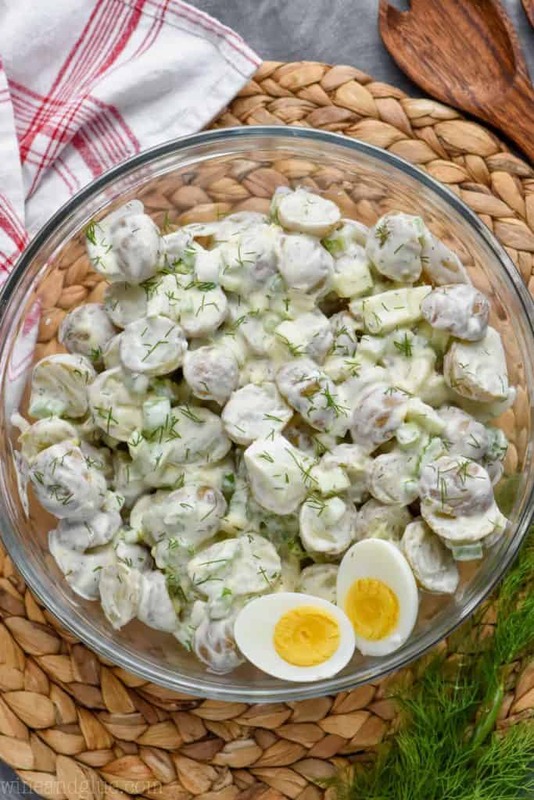 One of the things that my life needs is more easy side dishes that can be thrown together while the main dish cooks up, and this is definitely one of those! Just a few simple ingredients bring this side dish together! WHAT IS IN A TOMATO CUCUMBER SALAD? I used vine ripened tomatoes, but you could certainly use what’s growing in your garden. Is there anything better than fresh tomatoes?? I used an English cucumber, but again, you could use what you are growing in your garden. You will need part of a red onion. Certainly if red onions are your jam, you can add more. Throw together some Italian Seasoning for this recipe. Grab some good olive oil. 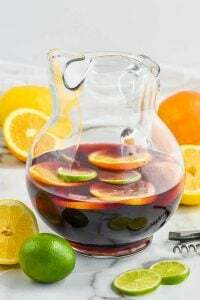 You will also need some red wine vinegar. 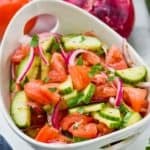 HOW DO YOU MAKE CUCUMBER AND TOMATO SALAD? 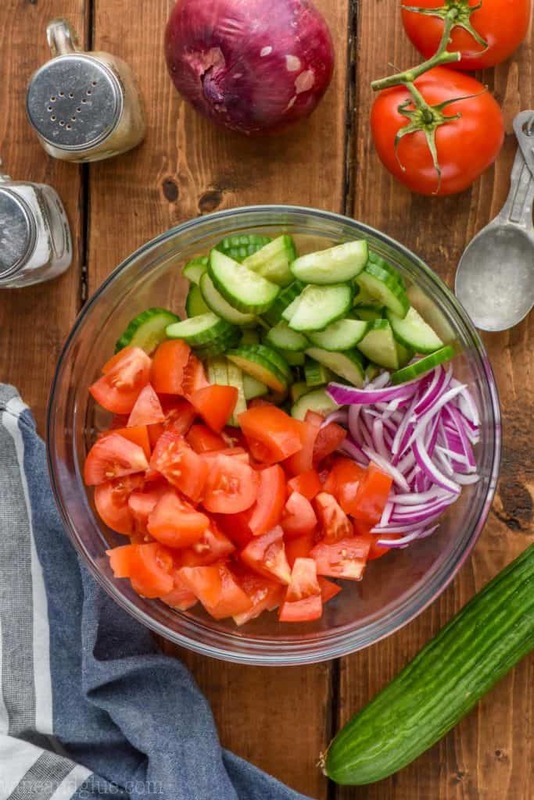 Chop up your veggies and add them to a mixing bowl. In a small bowl, whisk together the oil, vinegar, and Italian seasoning. Toss the dressing with the veggies and season with salt and pepper to taste. 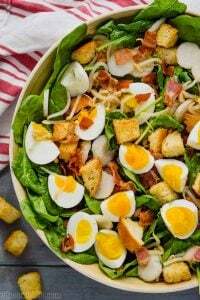 Guys, I gave you measurements for this salad, but really, you should play around with it. This is one of those salads that has a lot of flexibility. My favorite kind. If you are grilling, you can make these Easy Grilled Parmesan Potatoes right on the grill! 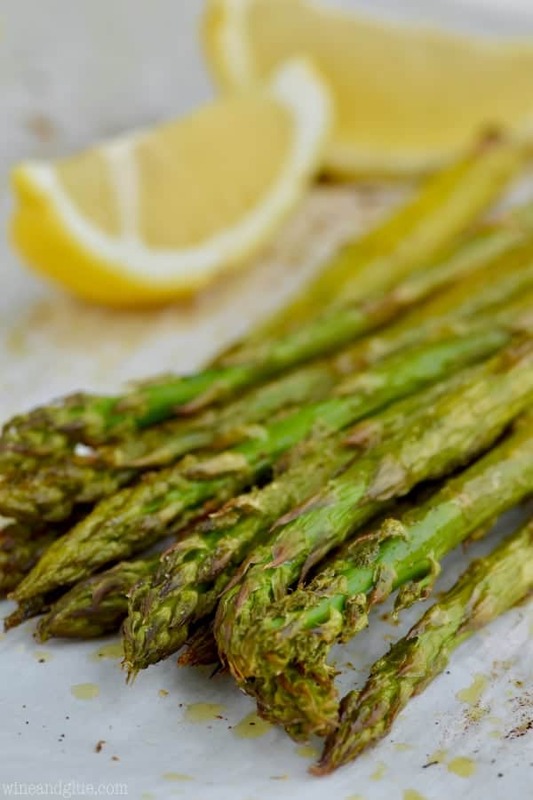 I can’t get enough asparagus in my life, so I can’t wait to make this Asparagus Salad. This Cranberry Zucchini Slaw is a way to actually get my kids to eat zucchini. I think this is perfect for the Fourth of July, but obviously it is great for all summer long too, my friends. Hang in there fellow parents of tiny monsters! 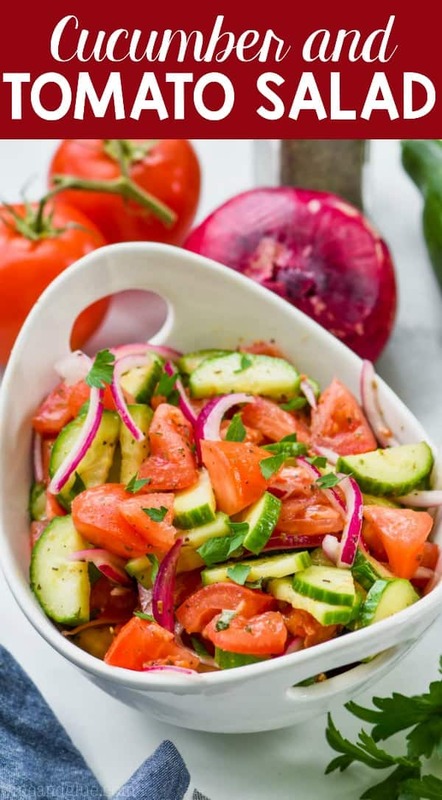 This Cucumber Tomato Salad is the perfect easy summer side dish! It is great to bring to parties or to serve as a side dish for a weeknight dinner! Add all the vegetables to a large mixing bowl. 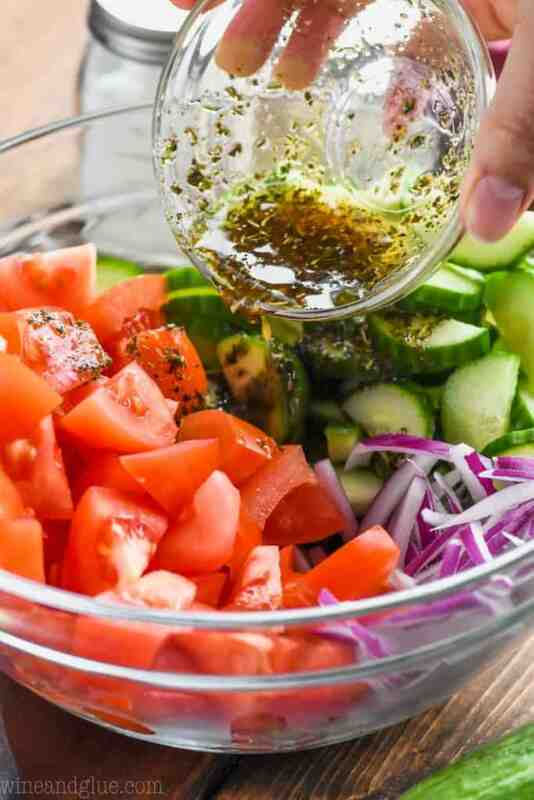 In a small bowl whisk together the olive oil, vinegar, and Italian seasoning. Toss the dressing with the vegetables. Add salt and pepper and toss again, adding more salt and pepper as needed. 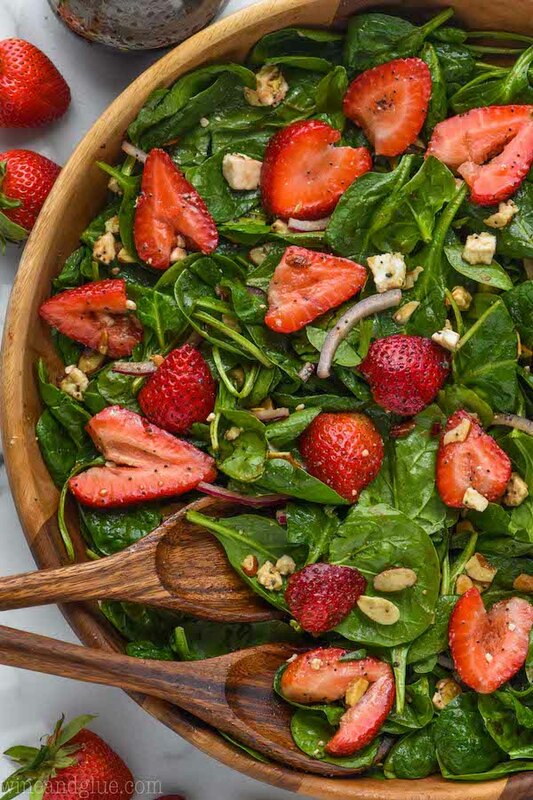 I think fresh salads like this are one of the best things about summer, yum! And thanks for the shout-out for my asparagus salad. We make a very similar side dish to eat with all our grilled foods! I love adding a package of the small mozzarella pearls for a hit of cheesy goodness in it. 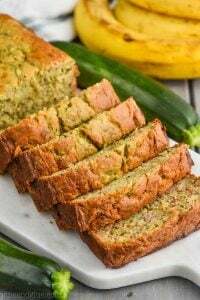 Gotta love an easy and healthy recipe like this! Your a life saver. I woke up thinking about making a cucumber/tomato salad and here one is. I made it for lunch and it’s Great. Thanks.